On the eighth day of Christmas Collab, Kim asked of me: It’s now time to head out to the kitchen to put on your oven gloves and start preparing Christmas dinner. It consists solely of video game food; what’s on the menu? Well, obviously a most fantastic variety of drinks. Yes, a little predictable, but I was looking at a cheese display in the grocery store the other day and the way it was set up made me think how alike cheese wheels look to Pac-Man. Cut a little wedge out and line up a few grape tomatoes in front of it and you’ve got yourself a cute little appetizer. This could also work with gouda, or brie, or any cheese that comes in some sort of round form. …or, you know, because I know someone will comment on it, it could be a cheese wheel from the Dragon Age or Runescape worlds (or a Mass Effect: Andromeda Easter egg…). A while ago, I read a recipe in a magazine about mashed potatoes that had bananas in them. I’ve had mashed potatoes with peanut butter before, which were pretty good, and so I thought that this would probably be good, as well. The recipe called for one banana per eight-ish potatoes, and had a little brown sugar in it. Obvious banana-for-Donkey-Kong reference is obvious, but I thought the brown sugar would not only provide a little sweetness and flavor, but also show that underneath all that simian is a sweetheart (aw). 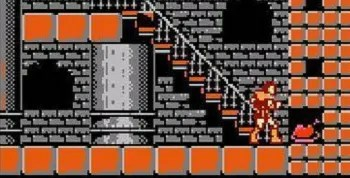 I remember watching a friend play Castlevania, and wondering why there was chicken hidden in the walls sometimes… Anyway, the chicken was a relief to come across, as I recall, and so some nice fried chicken seems like the perfect way to pay homage to this in-game comfort food. I’d also probably put the chicken in a basket surrounded by a small “wall” of dipping sauces that it would have to “pass through” in order to be consumed, even though I’m sure no one would get it. The idea of “top sirloin rocks” from Ocarina of Time always made me chuckle, and so I’d probably make little hamburger bites for this. Some sort of quality ground beef, seasoned with some garlic and onion powder, and mixed with a very sharp cheddar, ketchup, and a little relish for color, rolled into small balls and baked in the oven. They’d look like little boulders, but have the added bonus of probably not breaking any teeth. Yes, that is a cake. It has fondant for the icing part, which is how the design maintains its crisp shape. The cake part is easy enough, but I haven’t worked with fondant, even though I know people say it can be tough to get the hang of at first. But what a show-stopping piece! 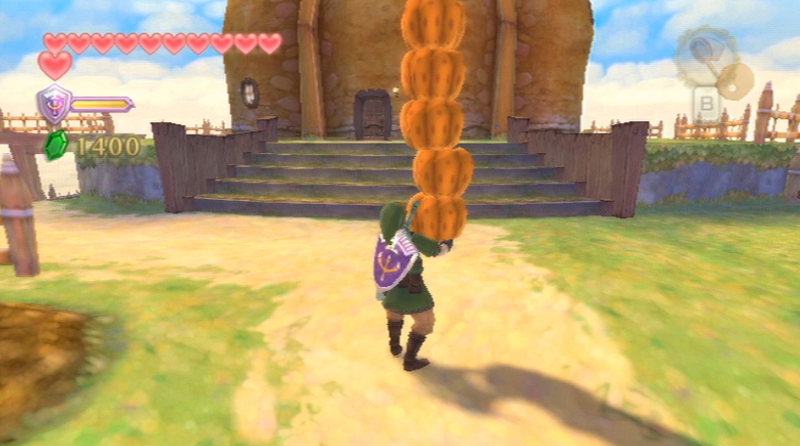 And if you all weren’t in a food coma by that point, I’d bring out Link’s famous apple pie. 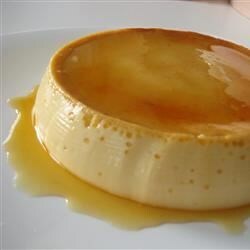 And some Final Fantasy-inspired flan. What about you? What would be on your game-themed menu? If I threw a party with these foods, would you leave with a full belly, or quietly call for take-out on your way home? Let me know in the comments! Omgggg! That menu sounds delicious and now I’m intrigued by the Mashed Potatoes with Bananas! It’s awesome that you created the whole menu inspired from the video games and the addition of your mixed drinks would make a great holiday dinner! If I went to your party I’d probably have to leave rolling downhill. Everything sounds delicious. And I am totally going to try the banana-tatoes thing. I am going to mention Skyrim’s cheesewheels and this: https://www.youtube.com/watch?v=ClsaiOTwhug Also, I am pretty sure the first Fate game has a jokey cheesewheel hat. What is it about cheesewheels that is so funny? Then my work here is done. haha Let me know if you really make the banana-tatoes dish!!! Omg cheese just exploded out of a mountain and I don’t know what to do about that haha. I don’t know, but they’re everywhere, aren’t they?? I will! Never had banana in a salty/savory dish, so I really want to try that. I remember Runescape… Sweet meal plan! A food coma worth going into for sure. 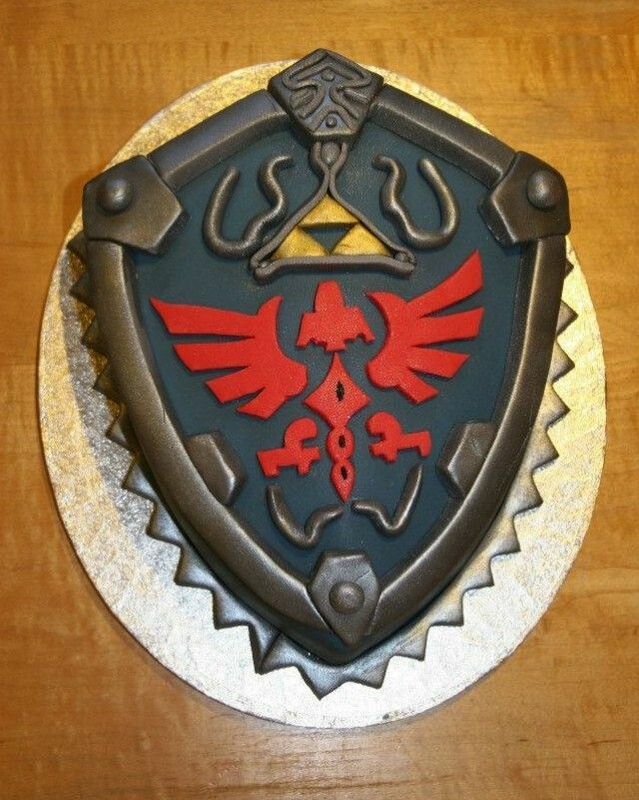 Though I would never even think about eating that Hylian Shield cake… wow! Excellent. Then I’ve done my job well! haha Yeah it would take a bit of time before I worked up the nerve to actually slice into that cake, but it just looks so neat! I have had a banana and baked potatoes dish when I was younger! It was SUUUPER tasty, so hopefully banana and mashed potatoes would be the same! Cake and flan and apple pie though, my mouth is watering just thinking about it!! !